Eugene Bogart and Rick Eizenzimmer have been going at it in for months (years?) about who’s got the baddest big tire car in town. Both of these competitors will be racing in our “No-Mod” Door Slammer Quick 8 class coming up on the 7th of July but these two just couldn’t hold their tongues. One of them heard the other would be out here pro-tire testing this Saturday, some smack got talked and here we are with a race on our hands. 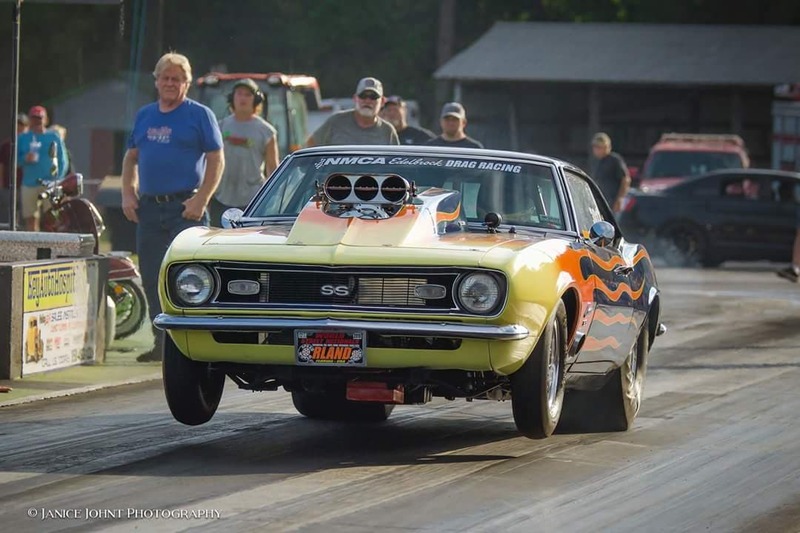 The plan is for each of them to get a test pass to get their big tire cars adjusted to the tight small tire / radial prepped surface, then they will be the first pair down the track after our opening ceremonies. Most grudge racers are after a cash wager, but not these guys, loser has to get his picture taken in winners car and make it his profile pic on social media until they race again… it might not sound like much to some but if you follow the bickering between these two online, that’s a big deal! Pick which one you want to ride with and hang on! 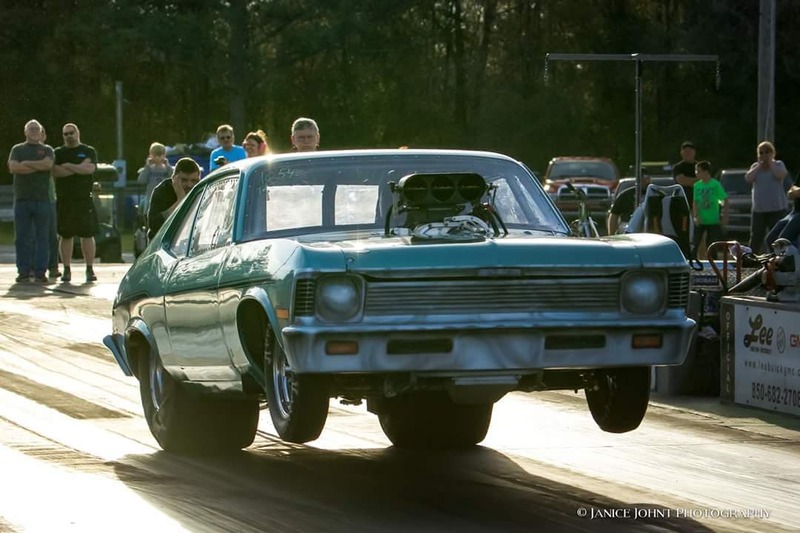 Rick Eizenzimmer’s Chevy Nova, blown alcohol big tire chassis car. Eugene Bogart’s “Hot Wheels” Chevy Camaro, street legal blown big tire car. 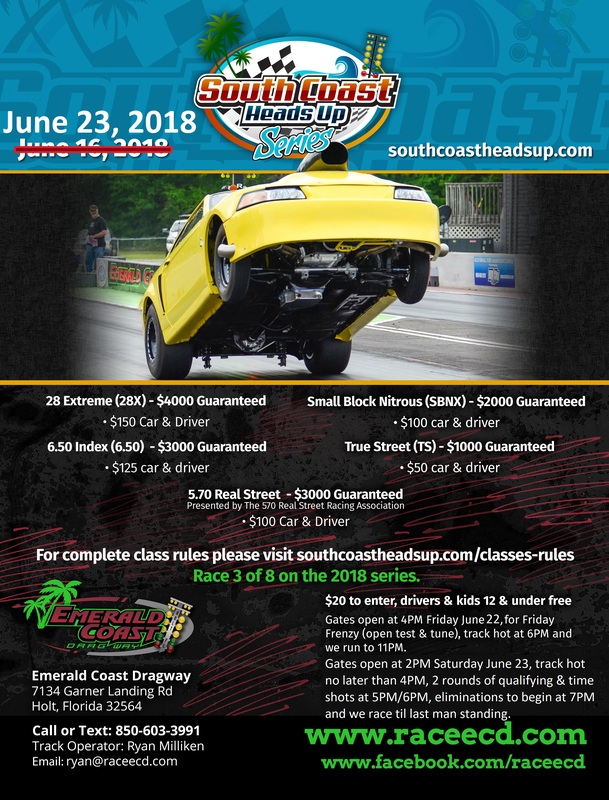 Gates open at 2pm tomorrow, qualifying in the afternoon, racing into the evening, if you’ve got a grudge race you need to settle or just simply need some testing (pro tires only on Saturday), a test & tune / grudge tech card is $30, we’ll make sure you get plenty of track time! Just praying they both make clean safe passes! Dont miss it! Its gonna be epic!